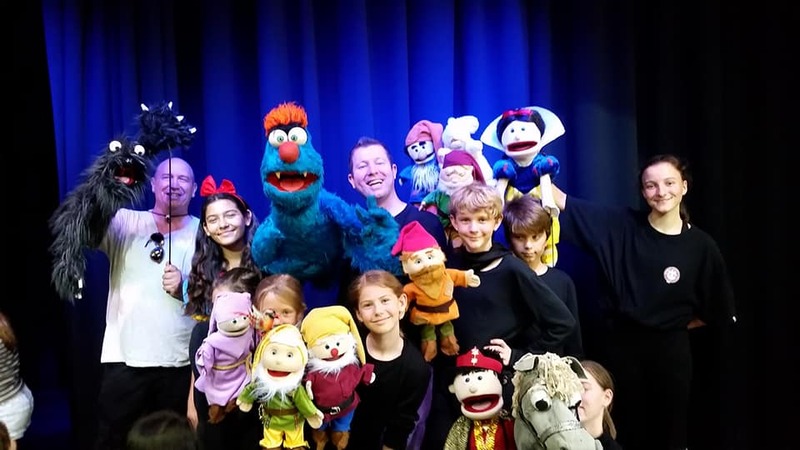 We had a great time yesterday watching “Snow White And The Seven Dwarfs” puppet show at Queensland Theatre of Puppetry (QTOP) starring Phil Bell (Timbarra Productions) and his young cast of puppeteers on school holidays! 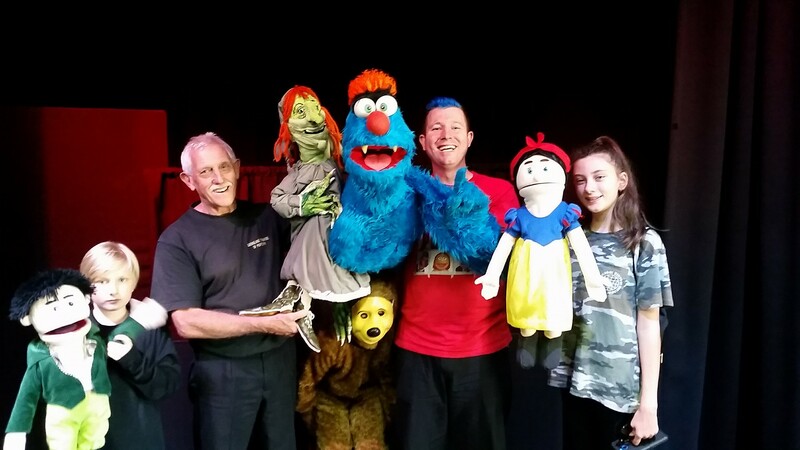 Joining us was Mark from The Mark Rengel Puppet Theatre Company. This was our second visit to the theatre. The Queensland Theatre of Puppetry events are held in the Gerda Pinter Pavilion at MacIntosh Island Park in Surfers Paradise. This venue is a dedicated puppet theatre, and is fully equipped with great lighting, sound, curtains, seating, and everything that makes a puppet show look the best it can be. Cost of entry was $6 cash at the door, and all of that money is donated to charity. The theatre is not seen very well from the street so it can be a bit tricky to find. 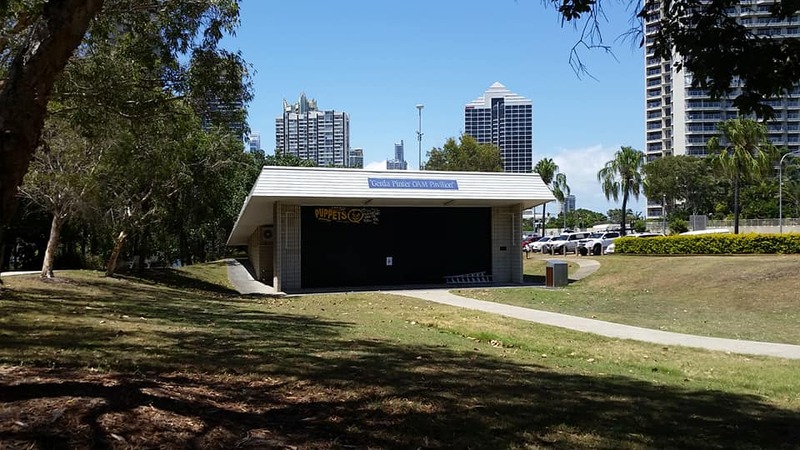 It is located in Macintosh Island Park, which is at the corner of Admiralty Drive, and the Gold Coast Hwy, Surfers Paradise. Macintosh Island Park is a great family spot to enjoy before or after the puppet shows. It has playgrounds, shady picnic spots, barbecues, toilets and is a short stroll from Main Beach.